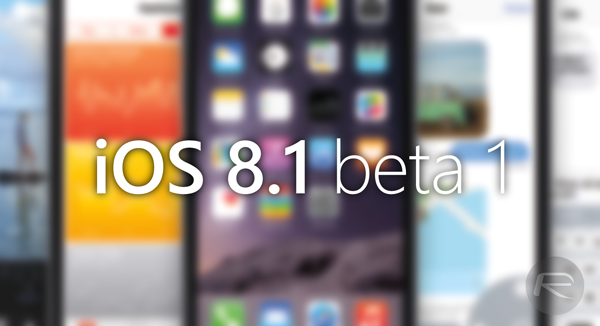 Apple has just released iOS 8.1 beta 1 download for iPhone, iPad and iPod touch users. The first beta build carries a build number of 12B401 and is available to download immediately for registered developers, and is likely an update which includes support for Apple Pay and other bug fixes. Only a few hours ago, we learned that Apple could be ramping up its release schedule with iOS 8, and instead of merely rolling out iOS 8.1, the company may instead offer several semi-major updates through the life cycle of its new mobile software. 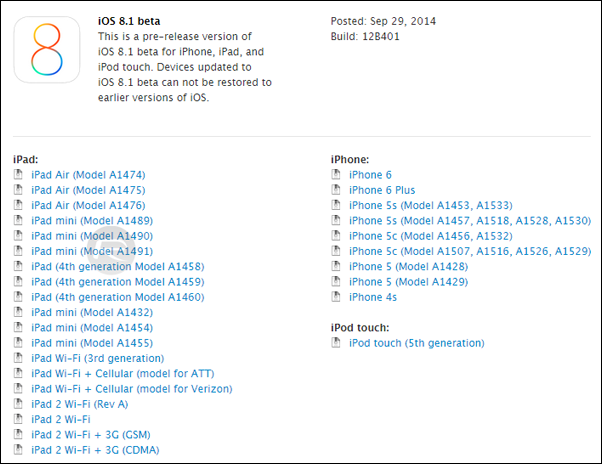 Now, we’ve more evidence of this transition with the seeding of iOS 8.1 Beta 1 to developers. 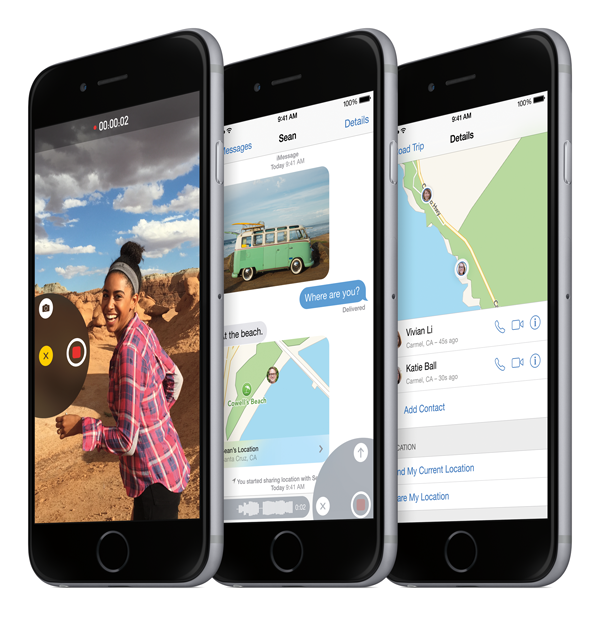 Apple introduced a boatload of features with the iOS 8 update, but as we’ve discovered, there have been quite a few bugs as well, and with iOS 8.1 beta 1, the process of amending these issues and bringing the software up to scratch has already commenced. The first beta, which carries the build number 12B401, is packed to the gills with bug fixes and tweaks to features that weren’t quite ready for prime time with iOS 8.0. HealthKit, for example, has yet to really take off despite being billed as a marquee implementation, but as noted in the iOS 8.1 beta 1 changelog, background delivery of HealthKit data should function as expected, allowing the ensemble of third-party developers to finally utilize Apple’s native infrastructure for gathering this information. Other fixes relate to third-party keyboards, which, in some cases, disappear when app switching, while issues relating to Mail, Notification Center and Photos have also been taken care of. It remains to be seen precisely when iOS 8.1 will roll out to the public, but given what we’ve already gathered wind of iOS 8.2 and 8.3, it’s clear that Apple isn’t messing around as it looks to enhance the reputation of its flagship mobile ecosystem. Since this is a beta release, it’s only available to those subbed to Apple’s Developer Program, which costs $99 per year. If you’ve a vested interest in testing out and / or picking holes in pre-release firmware, the be sure to sign up, at which point you’ll also get exclusive previews of iTunes and OS X as they’re being worked on in the run-up to GM. We’ll be keeping an eye out for any further information regarding iOS 8.1 betas and the changes Apple is working on looking ahead, so stay tuned to our coverage here! im not registered. where can i download?? Will links be available here later or must I look elsewhere? False alarm. Those links don’t get me anywhere. There’s no point downloading it and installing it on your iPhone. Unless you are a developer, iOS will not activate and you will be stuck at the activation error screen and will have to revert back to 8.0.2 (which you are probably running now anyway). There’s no way to bypass the verification screen as of yet. got the same issue with 8.0.2 and am really hoping that 8.1 will fix this crap.